Rafael Nadal returned to tour-level action with a dramatic victory on Tuesday, saving two match points to oust Frenchman Lucas Pouille 4-6, 7-6(6), 7-5 at the China Open in Beijing. The top-seeded Spaniard was down 4/6 in the second-set tie-break, but won four consecutive points to even the match at one set-all. In the decider, Nadal earned his lone break of the match in the 11th game and served out the first-round contest a game later to 15. “[It] was a very tough first round, as I say the other day. He played well, I think. Very aggressive. He's serving well. For me was little bit difficult at the beginning. Then I started to play better. But still, I didn't have the control of the match for almost all the time,” Nadal said. The World No. 1 extends his match win streak to eight after reeling off seven in a row last month to win the US Open, his 16th Grand Slam title. 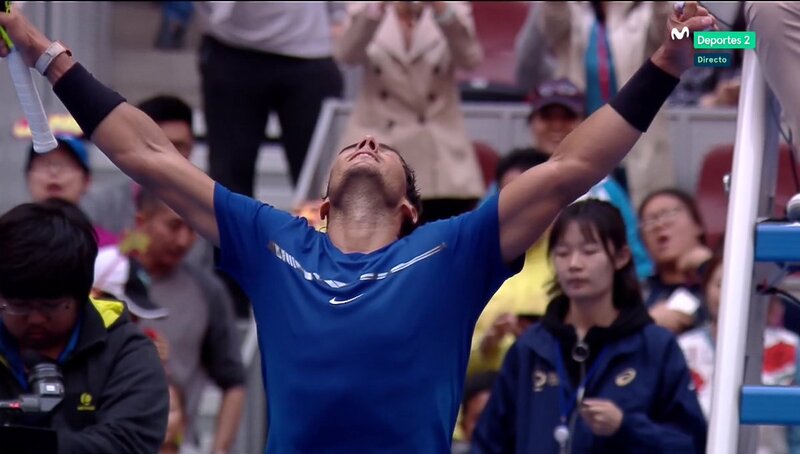 The Spaniard, a 2005 champion in Beijing, improves to 21-5 in the Chinese capital. Pouille had won their most recent FedEx ATP Head2Head meeting and their only prior match-up on hard courts, outlasting Nadal in a fifth-set tie-break during the fourth round of the 2016 US Open. The Frenchman was aggressive in Beijing as well, blasting 46 winners to 47 unforced errors. But it was the World No. 1 who steadied his nerves the most in the big moments. Nadal finished 10/10 at the net and converted his lone break opportunity in the third set. “He had two match points, one of them with an easy forehand more or less. But it's like this. I remember the match against him in the US Open that I had 6-all in the tie-break, an easy forehand I missed at the net, too. That time was for him, today was for me,” Nadal said. The top seed will next face #NextGenATP Karen Khachanov, who broke Chinese wild card Di Wu four times to advance 6-4, 6-2. 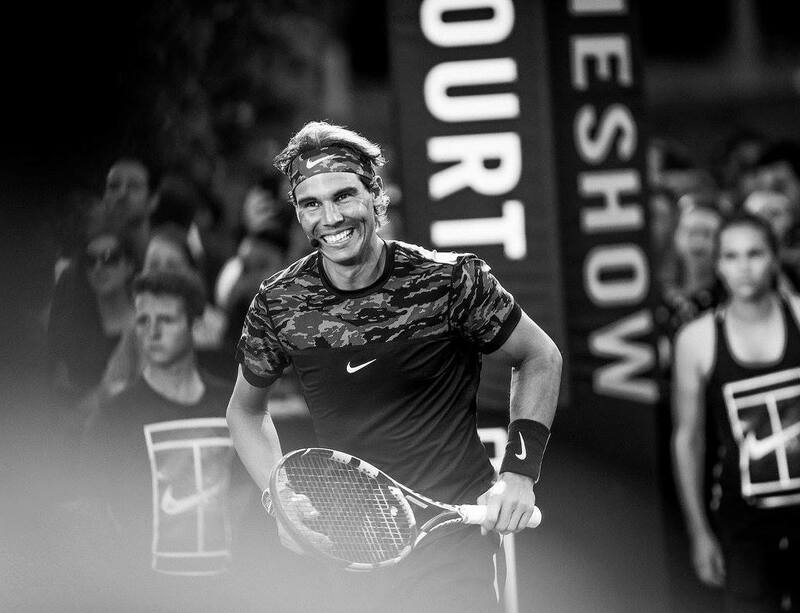 Nadal leads their FedEx ATP Head2Head series 1-0, a straight-sets win earlier this year at Wimbledon. Is Rafa the only player they bring the flag for support? I can see if it was earlier in the year but no, Nadal needs to have a decent post USO for once. Why? No one made way for Nadal as a young player; he had to earn everything by his own talent and hard work. If you think the experienced players shouldn't beat the young ones, then they might as well retire. In other words, you hope Rafa doesn't win the title, you'd rather Sasha or Kyrgios won it. It's been quite a while since we've seen MPsavedal (I believe he last appeared vs Zverev @ Indian Wells 2016). Hope this will boost his confidence. I don't recall seeing any other flag in Beijing; someone correct me if I'm wrong. The last 2 games were breathtaking. He showed Pouille who is boss. 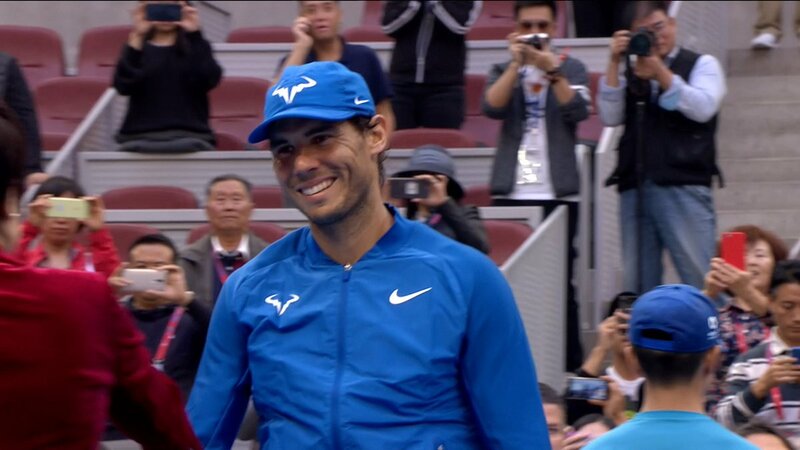 Rafa is enjoying views of Beijing. You must be very disappointed that Rafa won. But you'll be rooting for Kyrgios to win being the younger player. Rafa will have a street named after him in Valladolid. The Valladolid City Council will rename eight streets, to get rid of Spain's Franco-era street names. Wikipedia: "Valladolid is northwestern Spain's biggest city...Valladolid is a major economic center in Spain...The Old Town is made up of a variety of historic houses, palaces, churches, plazas, avenues and parks, and includes the National Museum of Sculpture, the Museum of Contemporary Art Patio Herreriano or the Oriental Museum, as well as the houses of José Zorrilla (a Spanish Romantic poet and dramatist) and Cervantes (the author of 'Don Quixote /Don Quijote') which are open as museums." GSS tweeted: "Rafa's street is in one of the areas in the city where most of the University buildings are... not bad!" The Valladolid City Council will rename eight streets, to get rid of the Spain's Franco-era street names. The Barche [Boats in English] magazine that published an interview with Rafa last month keeps posting pictures taken on his yacht & of his yacht during the photo shoot for the magazine in summer. They should Rename spain, as "Rafael Nadal Spanish Nation"
Q. That was a close one, two points away. How do you think you succeeded in the third to make the difference? RAFAEL NADAL: Was so close, no? He had two match points, one of them with an easy forehand more or less. But it's like this. I remember the match against him in the US Open that I had 6-All in the tiebreak, an easy forehand I missed to the net, too. That time was for him, today was for me. Was a very tough first round, as I say the other day. He played well, I think. Very aggressive. He's serving well. For me was little bit difficult at the beginning. Then I started to play better, I think. But still, I didn't have the control of the match for almost all the time. And, yeah, was a tough one. I am very, very happy to be through. Q. Did you think of the US Open match in the tiebreak? RAFAEL NADAL: No, I don't think that match, no. I just worried about the next point. That's all. Every year is different and every match is different. You cannot compare things. What happened in the past doesn't make an impact about what can happen today, no? Yeah, he had the chance. I think I was there and I fighted until the end. I had a very good break in the 5-All, played a great game on the return, the break for me, then closed well. Q. You played Lucas in the US Open and lost. This time he played really strong. How do you manage yourself facing those strong players, facing two match points? 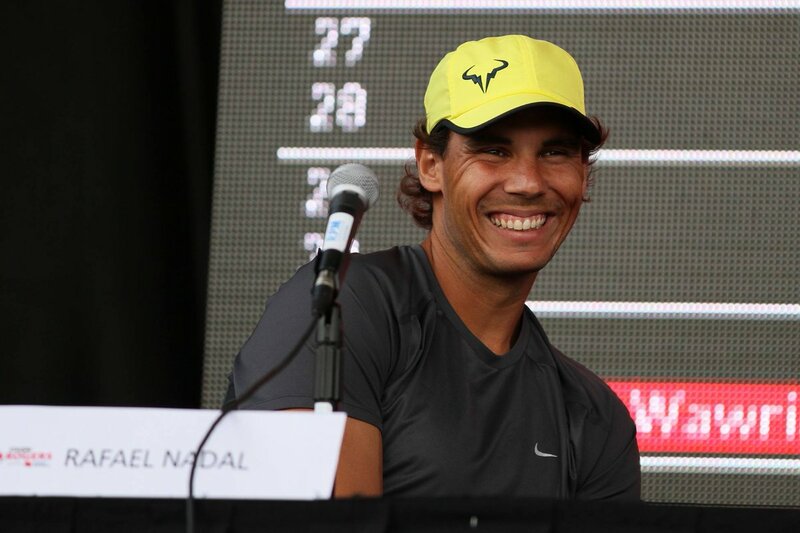 RAFAEL NADAL: Yeah, was difficult, of course. He played a great game to break me in the first set with some great shots, and then you are in trouble. Love-30, 15-30 with the second serve later to break him back, but I miss it. He played well. For a lot of moments he played better than me. Is true that the conditions with cold, playing little bit later, are a little bit different than playing during the day. The ball become smaller and more difficult to have the feeling. But that's like this. So just try to adapt myself and try to be positive all the match. I saved an important match. That give me the chance to have a day off tomorrow, I think, practice well tomorrow, try to be ready for Thursday another tough match. Q. Given the events in the last couple of days with the Catalan vote, did playing today and winning in this kind of an emotional way, did it have an extra significance or emotion for you today? I think is better if I don't say anything. Q. Did the cold weather bother you? RAFAEL NADAL: What do you mean? Q. Did that bother you? RAFAEL NADAL: No, not bother me. The only thing is the weather was good to play tennis. The only thing is the ball changed a lot during the day conditions than during the night conditions. I didn't practice at that period of time. Was little bit strange feeling. Q. It's an anecdote, but you lost your shoe at some point and you fell. Not the first time it's happened to you. Do you see any reason why? RAFAEL NADAL: No, probably it's my fault with my movement. I don't know. I think I did too aggressive movement or something strange. I have a lot of power on the foot sometimes. If I push not in the right way, maybe these things can happens. That's all. 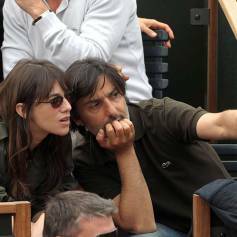 Fashion muse/icon,(her mum is Jane Birkin, guess women here heard about the Birkin bag) actress and musician Charlotte Gainsbourg has watched many Rafa finals. She is the love child number 1 in France. She makes watching Rafa chic I saw a music video of her today and she played some tennis in it. I googled and found many photos of her from RG watching Nadal. Idk why Nike/Rafa isn't wearing this stuff during tournaments. Because Nike can sell twice as much. A line of his match shirts, a line of his practice outfits, plus the casual shirts he wears for interviews and stuff. But I agree. Wish they'd change the match and practice outfits around. They want to sell his apparel. The majority of consumers who will buy tennis kit/gear, have not got the physique to pull off the tank top look. It may look good on Rafa, but it'd look bad on a lot of recreational players. You need the guns and shoulder blades to pull it off. It's why Nike rebranded Rafa's gear to be more conservative from the old "pirate" look. They want people over the age of 30 to buy what he wears. He looks absolutely fantastic in these practice outfits. He has been wearing it for a year now? Its perfect for his his type of body. I think Isner might get him, hope not. Rafa in his post match interview. Such a cutie. Eww, who wants "cute" though? How many of these hats has Rafa got? He must have dozens. I bought one for £40 and it's an old edition. He should send his old ones to his most loyal fans, the ones commonly referred to as the BamosBrigade. It's amazing what a 'moonballer' can do! Transcript of the presser Rafael Nadal gave after his win over Karen Khachanov. Q. You have been to Beijing six times. Every time you play into the quarterfinals. You also got an Olympic gold medal here. 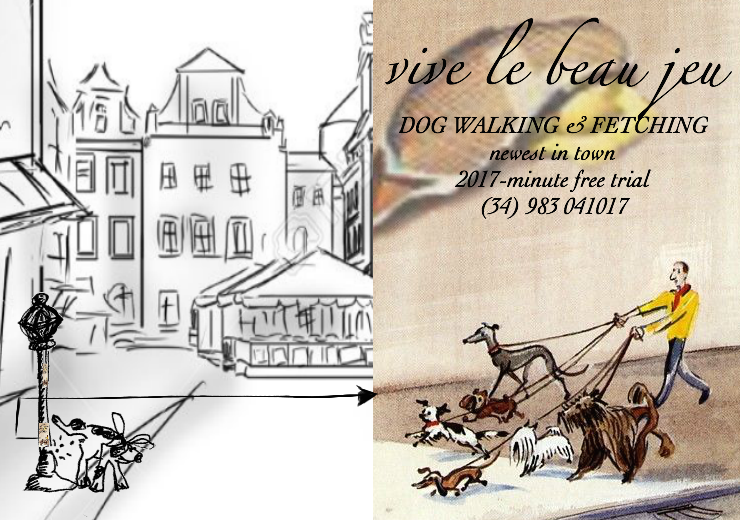 Do you think Beijing is one of your lucky places? RAFAEL NADAL: I don’t know. I have been in a lot of places that bring me good luck. Beijing, is true that I have not won the title here since 2008 Olympics, so I don’t know if is lucky or not. Of course, being in the quarterfinals again is a positive thing, no? Happy about the match of today. I think I played a solid match. Tomorrow will be a tough one against Isner, that he’s playing unbelievably well. I saw his match today. He played huge. So let’s see what’s going on tomorrow. Q. Since the US Open you have won nine matches in a row. In total you won 30 matches on hard courts. It’s the best performance in the last four years. Did you make any special changes or improvements before the season? RAFAEL NADAL: Yes, play well. That’s the biggest improve that you can do, no? When you are playing well, everybody talks about improvements or things that you are doing different. At the end of the day of course I try to improve my game. But the sport is not that difficult: If you are playing well, then you have more chances to win a lot of matches. If you are playing worst, the chances are much less. This year I have been playing well almost every week. That’s why I have been having lot of success. So today was a positive match for me again. That’s important for my confidence. Let’s see what’s going on tomorrow. That’s all. Q. It seems you had maybe better sensations today than the previous match, no? RAFAEL NADAL: Yes, of course I played better today. But is true that Pouille played so well the other day. There is always a reason. But obviously first match after a while is tough. First one against Pouille is a difficult one. After that match, be through after all the things that happened the other day, was a positive thing for me of course. And that’s gives me confidence. Today I think I played a good match. I won 6-3, 6-3, but you never know. He had some breakpoints at the beginning of the match. Then he had two more breakpoints I think with 1-0 in the second for him. So matches in tennis changes very quick. Anything could happen if probably he make one of that breakpoints, but didn’t happen. I won 6-3, 6-3. Looks not that difficult, but have been a difficult match. Q. Next up is John Isner. You played a couple weeks ago in the Laver Cup. Did you learn anything from that match? How do you feel going into the next match? RAFAEL NADAL: Was a tough match, no? I think he played great. He is playing very well here. So going to be a big one, big test for me. I know I have to play my best to have my chances. If not, probably I will not have chances tomorrow. I looking forward to try to play my best. I hope to be ready for it. Q. Can you talk a little about the challenges of playing a big server as against playing someone who returns well. 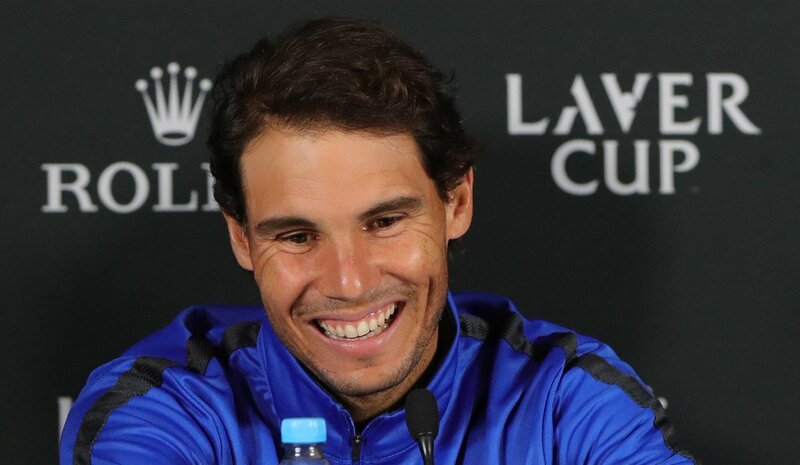 RAFAEL NADAL: Well, everybody knows the challenges about playing a big server: probably you will not have many chances on the return. But the thing is not only that. John is a very good player from the baseline, too. I saw him today. He played so aggressive, having a lot of success, hitting a lot of winners, returning very well. Everybody knows that he serve huge and is so difficult to break him. But if you add that he is playing very well now from the baseline, is one of the toughest opponents you can meet. Best representative in the tennis word. And a few more from Ginny SS. Especially on fast hard courts which we've been told by everyone he can't play on. I am sure Rafa set another record today to be the first player to bagel a servebot in a TB on any surface. Federer bageled Isner in a tie break in USO 2015. So Nadal has equalled the record.